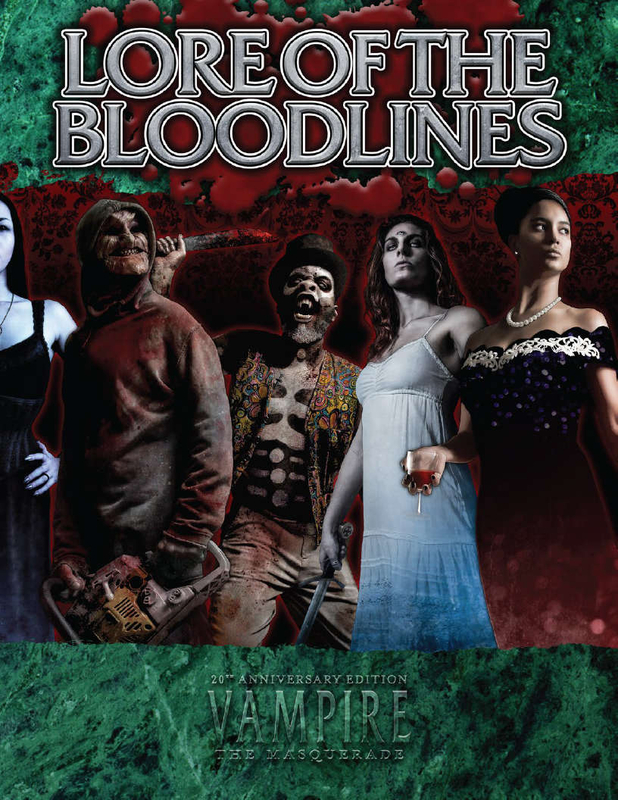 Lore of the Bloodlines is a single volume companion to Lore of the Clans that revisits some of the bloodlines in Vampire: The Masquerade 20th Anniversary Edition, providing story hooks, character concepts, history, and bloodline-specific rules. The secrets of the Baali, Daughters of Cacophony, Gargoyles, Harbingers of Skulls, Kiasyd, Nagaraja, Salubri, Samedi, and True Brujah are now yours. The history, lore, and nightly practices of nine bloodlines, told from the perspective of the Kindred themselves. New combo Disciplines, powers, Merits, Flaws, and other rules specific to each bloodline. Revisions and updates of more classic Vampire: The Masquerade material to V20. Lore of the Bloodlines was made possible by the backers of the Lore of the Clans Kickstarter campaign. Are the hardcover books full bleed or is there a white border around the edge of the page?